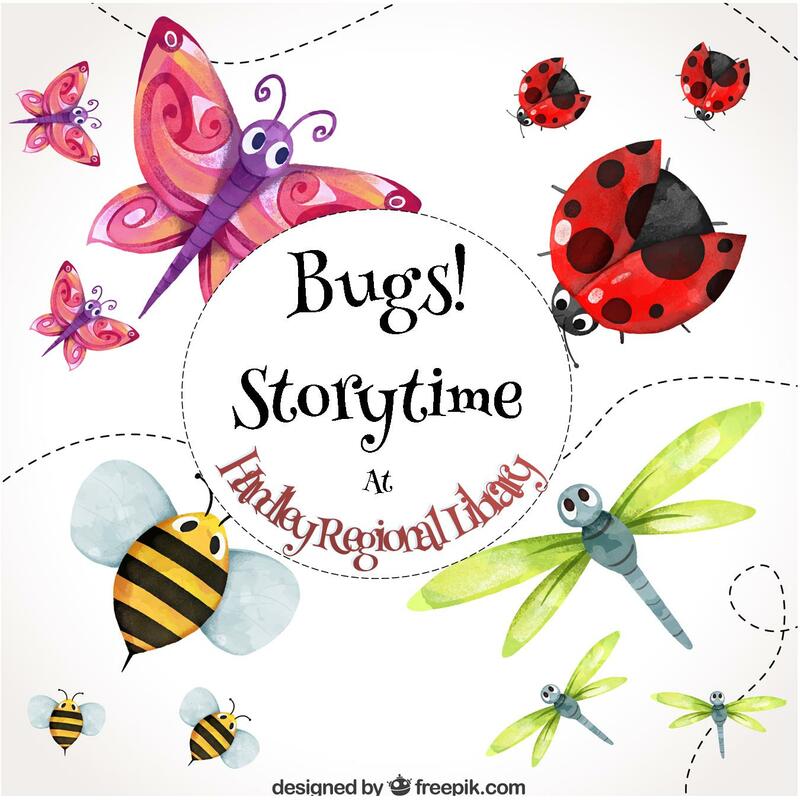 Bugs, Bugs, Bugs! We love bugs! 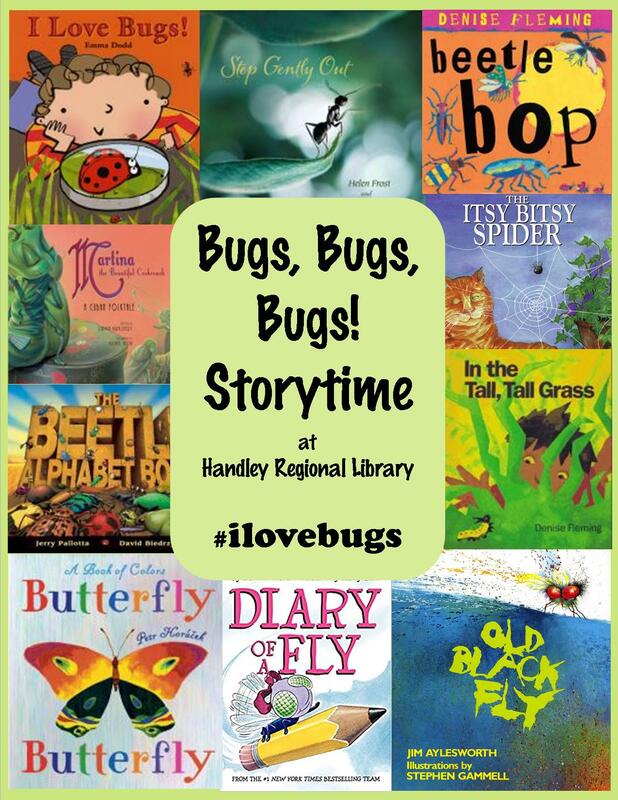 Search for the tag #ilovebugs in the Handley Regional Library catalog to find this list of books. Hidden away where nobody sees! 1 . . . 2 . . . 3 . . . 4 . . . 5 . . .Bzzzzzzzzzzzzz! One flew to [Name,] and that left four. One flew to [Name,] and that left three. One flew to [Name,] and that left two. One flew to [Name,] and that left one. *Substitute names of people in your family for those in the rhyme. Sleep til the morning sun. Get going . . . bye, bye.